I begin by outlining two key problems. First, land for development is extremely scarce in Wycombe, and there is real public anger at the prospect of building on all of High Wycombe’s reserve sites, which would further burden the inadequate infrastructure, especially our roads. Secondly, there is an obvious, acute need for more homes, especially those that people, particularly young people and families, can afford. In some cases there is a real sense of despair; I am thinking particularly of one working father I talked to with a family of four who will not only struggle to buy a home locally but might find himself facing the prospect of a Bank of England cap on the mortgage he would need. There is a real problem of despair among those who do not own homes, and there is also a clear need for public consent. We need to find a way forward because the current approach is failing for three key reasons. First, collaborative democracy is inherently unlikely ever to meet policy makers’ aspirations. Secondly, a duty to co-operate is not the right way to co-ordinate decision making and works against localism. Thirdly, the crux of the matter is that the current system leaves individuals and families facing the imposition of costs without adequate recompense. I am going to say something about each of those points. I rather regret that I cannot put a map in Hansard, but I will try to describe the problem in High Wycombe. It is surrounded by an area of outstanding natural beauty, apart from where the M40 emerges to the south-east, where it is green belt. That creates enormous pressure on development land—indeed, the district, which is larger than my constituency, is 71% AONB. 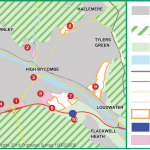 There are four reserved sites in Wycombe: Abbey Barn north, Abbey Barn south, the Gomm valley and Terriers Farm, all of which are highly prized by local residents and would be served by roads that are already heavily used. We are short of school places and our hospital is already falling short of public expectations, having lost services; it is no surprise that the public have concerns. You can find the complete Hansard report of the debate including the Minister’s response here. My comment in the afternoon’s Opposition Day debate on Housing Supply may be found here. My recent question on the tendency of the Bank of England to create herding in the housing market is here. His remarks suggest the National Planning Inspectorate will, if anything, have a bigger role in ensuring houses get built. As ever, democracy struggles to survive economic planning by authority. 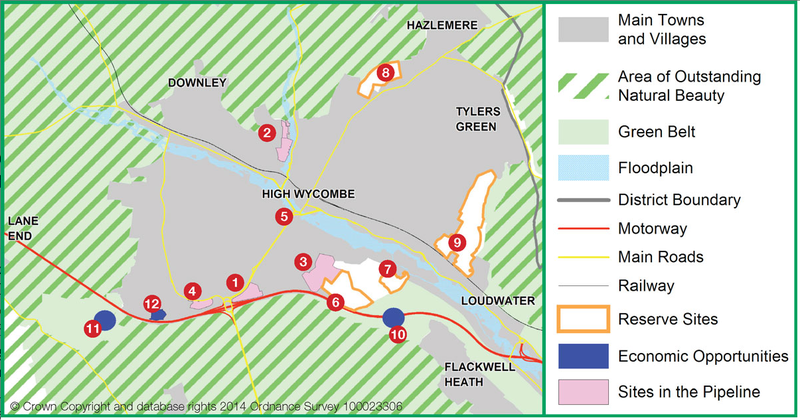 Wycombe District’s developing local plan is set out here. Finally, Mark Pennington’s excellent pamphlet, which explains why the command-and-control approach to land-use planning fails, why the present system must be further reformed and how to do it, is here. There are plenty of similar publications making much the same argument. I heard your idea about section 106 payments going directly to existing residents to encourage them to support new developments by “internalising the externalities”. This seems a bit asymmetric to me. Are the existing homeowners going to compensate the new residents for the fact that the new residents will be able to see the existing properties out of their bedroom window? If not, why not? This is just as much an externality as the other way around. It certainly requires thought. I am inclined to think the property right is established by occupation and that the process of negotiating change would settle the long-term reciprocal effects.